The new year has started off with a burst of audiobook work! I’m excited to report that 2 books I narrated are now available for digital download on Audible, Amazon, and iTunes. This audiobook is actually the perfect title for this exciting, new phase in my life. 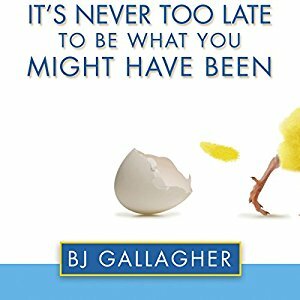 IT’S NEVER TOO LATE TO BE WHAT YOU MIGHT HAVE BEEN by the wonderful storyteller B.J. Gallagher is full of inspiring interviews with people aged 40 and higher who have made dramatic changes in their lives in order to make their dreams come true. Not only are the stories interesting and inspirational, but each chapter ends with some specific tips for making similar changes in your own life. It’s never too late to have the dream career, attain wealth, fall in love, be healthy, and more! This audiobook may be just the right thing to help you start living the life you were meant to lead! What could be more fun and intriguing than a murder mystery that starts with a pot of chicken and dumplings? 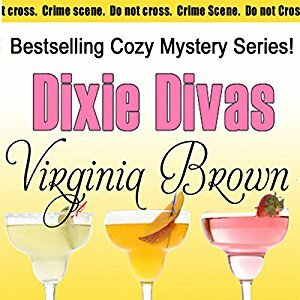 Award-winning and prolific novelist Virginia Brown has cooked up a delicious tale about a close-knit group of Southern women who call themselves the Dixie Divas. The Divas gather for chocolate, conversation, and carrying a dead body around town. If you want to know what else happens at a Divas meeting, you’ll just have to hear the book! 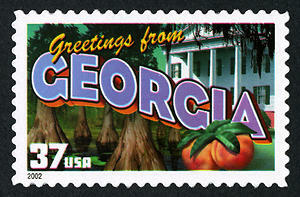 I loved the characters and vivid descriptions of their charming Mississippi town. My director and I had to stop recording several times because we cracked up over the dialogue! This audiobook is the perfect companion for your spring break or summer trips when you want to entertained while relaxing by the pool or ocean. At almost 13 hours, it’s a terrific audiobook to enjoy on long car trips or while doing housework or walking the dog. After only 2 weeks for sale, this audiobook is currently the #1 bestseller on Audible in the Chick Lit category! I’m also thrilled and honored that the publisher has asked me to narrate the 2nd and 3rd books in the series. Those titles should be available in early summer. Speaking of which, it’s time to head back into the studio — the Divas await!